Our guide to San Francisco will help you find the best wine spots in San Francisco California. San Francisco makes it wonderfully easy to tap into the Good Life. Between the hot arts scene, the tempting boutiques, the awesome bay views, and all those stellar, locally focused restaurants and wine bars, it's the perfect place to indulge yourself. There are tons of great wine spots in the city of San Francisco, our city guide will help you find the best wine spots. You may have a hard time deciding what to do in San Francisco, but we make your decision easy. 1327 Polk St, (415) 440-7662 - S.N.O.B. Wine Bar is a wine bar located in San Francisco CA. 1550 Hyde St, (415) 775-1550 - 1550 Hyde Cafe & Wine Bar is a wine bar located in San Francisco CA. 1551 Dolores St, (415) 956-7300 - Noeteca Coffee House & Wine Bar is a wine bar located in San Francisco CA. 1666 Market St, (415) 437-1770 - Cav Wine Bar & Kitchen is a wine bar located in San Francisco CA. 1890 Bryant St, (415) 551-8100 - Coffee Bar is a wine bar located in San Francisco CA. 2032 Polk St, (415) 673-7535 - Wine Bar is a wine bar located in San Francisco CA. 2490 3rd St, (415) 401-8984 - Yield is a small, intimate wine bar located in the heart of San Francisco's historic Dog Patch Neighborhood. Yield is San Francisco's first "green"
2931 16th St, (415) 701-8466 - Bar Bambino Cafe and Wine Bar is a wine bar located in San Francisco CA. 334 Grant Ave, (415) 391-0207 - Rouge et Blanc Wine Bar is a wine bar located in San Francisco CA. 415 Sansome St, (415) 788-4811 - London Wine Bar is a wine bar located in San Francisco CA. 45 Rose St, (415) 703-0403 - This pint-sized wine bar and art gallery brings a touch of Paris to a San Francisco backstreet. 54 Mint St, (415) 543-5111 - 54 Mint Wine Bar is a wine bar located in San Francisco CA. 550 Green St, (415) 989-2289 - Vicoletto Ristorante & Wine Bar is a wine bar located in San Francisco CA. 620 Post St, (415) 674-3567 - The Hidden Vine Wine Bar is committed to offering a variety of interesting, small production, and lesser-known wines from California and the world. 795 Valencia St, (415) 255-2102 - Parea is a Greek wine bar and cafe offering high quality wines from around the world. Brosnan St, (415) 552-2050 - Pauline's Wine Bar is a wine bar located in San Francisco CA. 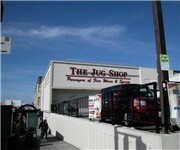 1590 Pacific Ave, (415) 885-2922 - Jug Shop is a wine shop located in San Francisco CA. 216 Linden Ave, (650) 588-9463 - Wine Vault is a wine shop located in San Francisco CA. 2253 Polk St, (415) 346-1314 - William Cross Wine Merchants is a wine shop located in San Francisco CA. 250 Taraval St, (415) 731-6222 - San Francisco Wine Trading Co is a wine shop located in San Francisco CA. 330 1st St, (415) 777-4200 - Local Kitchen & Wine Merchants is a wine shop located in San Francisco CA. 345 California St, (415) 788-8878 - Zain Fine Wine & Spirits is a wine shop located in San Francisco CA. 3461 California St, (415) 221-9463 - Wine Impression is a wine shop located in San Francisco CA. 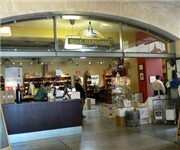 3821 24th St, (415) 824-2300 - Urban Cellars is a wine shop located in San Francisco CA. 384 Hayes St, (415) 863-1104 - Arlequin Wine Merchant is a wine shop located in San Francisco CA. 620 Folsom St, (415) 546-0484 - San Francisco Wine Exchange is a wine shop located in San Francisco CA. 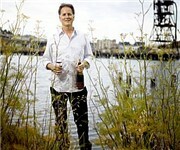 177 Post St, (800) 210-3008 - Golden Bear Winery is a winery located in San Francisco CA. There are plenty more wine spots in San Francisco. See all wine spots in San Francisco California.